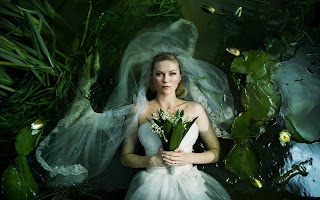 Melancholia is gorgeous, shattering, and hard to shake. It follows two sisters on two days - one of their wedding days and a day when a planet threatens to collide with earth. So many frames look like paintings that I was awed at times. Really amazing! 8/10. That movie gave me a case of the bummers.